RICE LAKE, WI (May 24) - It's been a while since Joseph Kouba sat in Victory Lane. To be precise, it was July 30 back in 2011 in a non-winged sprint car. 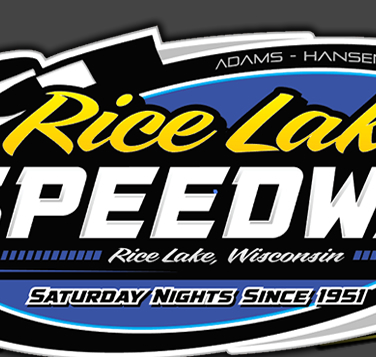 Fast forward nearly three years, and Kouba returned to Victory Lane with an impressive performance in the 25 lap UMSS Traditional sprint car feature at the Rice Lake Speedway on Saturday night May 24. Kouba raced from his pole starting position and was never seriously challenged for the top spot throughout 25 tours around the 1/3 mile banked dirt oval. For the second straight night, another impressive heat race win by young Chase Viebrock saw the "New Richmond Nightmare" earn high in points following the heats. Unlike the previous night at SCVR when Viebrock was also high point driver but had to start near the tail of the feature to complete his three race rookie orientation, at Rice Lake Viebrock was able to pull the redraw pill. His luck was not the most fortunate, as Chase pulled the eight pill. This put a pair of Koubas on the front row. With Joseph on the pole position and his cousin Jake on the outside, the 25 lap feature was ready to get underway. Joseph Kouba shot into the early lead right down on the bottom lane, as drivers jockeyed for positions behind him. Mike Mueller was moving forward quickly from his ninth starting spot, and soon Mueller was in a great battle for third with Johnny Parsons III behind the Koubas. Mueller got by Parsons on lap nine and set his sights on the leaders. The race was stopped with eleven laps scored when Jake Kouba jumped the cushion in turn one, bounded off the concrete wall and flipped over once. Jake was fine, but his night was done as the 2K sprinter rode the wrecker to the pits. On the restart, Joseph Kouba continued to show the way up front. Mueller closed in several laps later, but the brakes in his #87 sprinter were starting to fade. With a fourteen lap run straight through to the checkers, Joseph Kouba came home victorious, Mike Mueller finished second ahead of Parsons. An entertaining battle throughout a good share of the race between Robby Caho, Denny Stordahl and Viebrock saw those three drivers finish in that order behind Parsons. 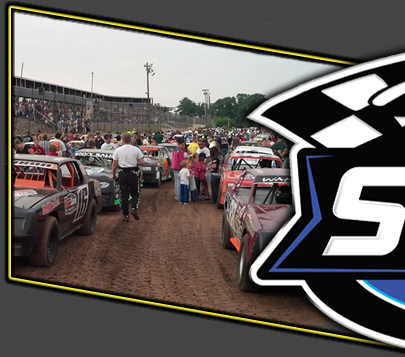 The Traditional sprints return to their usual Friday night track on May 30 at the St. Croix Valley Raceway. 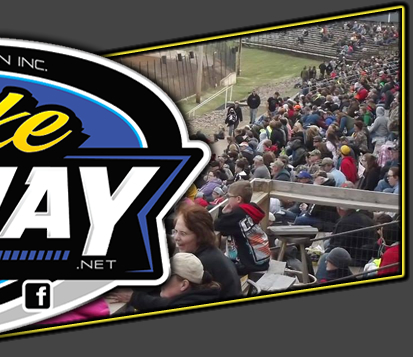 Fans can follow the TSCS non-winged sprint by visiting our website at www.umsprints.com or by liking us on our Facebook page. Hoosier Racing Tire Heat #1 (10 laps): 50 Chase Viebrock, 1 Jeff Pellersels, 2K Jake Kouba, 12 Johnny Parsons III, 87 Mike Mueller, 69s Jon Lewerer, 17B Eric Becker DNF. Track Rat Photos Heat #2 (10 laps): 78 Rob Caho Jr, 54 Cam Schafer, 34 Denny Stordahl, 55 Joseph Kouba, 14 Tommy Kamrath, 27 Mike Walters. GRP Motorsports A Main (25 laps): Joseph Kouba, Mueller, Parsons, Caho, Stordahl, Viebrock, Schafer, Pellersels, Kamrath, Lewerer, Walters, Becker, Jake Kouba DNF.